We believe that learning does not occur only in the classrooms, and not only by doing exercises and reading books. The world is the real classroom and theatre for our young generation. It is Steps’ vision to bring our children outside the classroom and let them learn by experiencing the world around them. Learning takes place most effectively only when children feel interested to learn what they feel relevant to them. We design our lessons in a way to make knowledge as something they can see, touch, explore and apply to their everyday life. 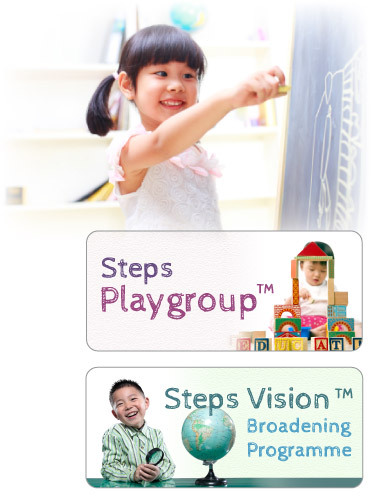 Steps aims to build up our children’s habit of discovering knowledge and exploring the world by themselves. We hope our children’s curiosity and passion for the world will stay and continue to motivate them to learn throughout their life.